After digesting the Federal Reserve's statement on monetary policy, gold buyers decided to step back into the market, pushing the price up by $11 to $1,654.90. The spectre of a prolonged period of low interest rates in the developed world still offers good support for the precious metal. Mixed economic indicators in the US and growing uncertainty for the European politics could also raise demand for gold as a hedge. This morning gold is at $1650. 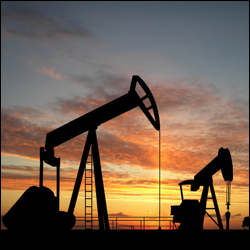 Yesterday, the US crude oil market started under pressure as the figures for the US jobless claims continued to show a struggling employment sector. However, housing data improved investors' sentiment by surprising to the upside. A rally in stock market indices also boosted US crude prices, which moved higher for a third straight session, adding $0.59 to a close of $104.55. However, this morning's risk aversion has seen declines for crude oil futures, with US crude trading at $103.75 at the time of writing. The online gold spread trading market dipped in reaction to the Federal Reserve statement but found good support just above $1,620.00 level. This support came as it appeared the US central bank would still consider easing monetary policy should the economic recovery turn sour. Accordingly, the precious metal recouped its losses and even finished up $3.15 at $1,643.98. In the long term, gold's appeal as a hedge against turmoil and fear of inflation is here to stay. This morning the precious metal is at $1,650. Those spread trading on commodities yesterday saw gold benefit from some dollar weakness, as the metal rose $3.25 to $1,641.37. However, the thin trading range points to a cautious approach. Well received debt auctions in Spain, Italy and the Netherlands, combined with positive economic data in the US, pushed some investors to take bullish positions. Nevertheless, a better indication of gold's near term direction will probably be offered by the FOMC statement due later today. Energy market participants remained unconvinced that oil demand in Europe will see better days in the short term and so they pushed crude prices down yesterday. Tensions with Iran look to be away from the spotlight for the moment and that also put downward pressure on Brent crude oil futures. As a result, it was little surprise to see Brent losing $0.59 to close at $118.16 yesterday, although this morning the market is a little higher at $118.40. Growing concerns that Europe will not be able to put its house in order sent investors to the safety of the US dollar yesterday, pushing gold futures lower during the morning session. As a result we tested the $1,620 mark but managed to rebound, finishing only $4 down at $1,637.45. This morning the precious metal is trading at $1,639. Deepening European economic troubles raised further questions over crude oil demand going forward and slower growth in China is surely another worry for energy investors. Surprisingly though, after slumping initially, Brent crude pared its losses, closing near flat at $118.71, despite a drop in the WTI contract. The question is whether that apparent strength can be sustained given that Iran and the West have started to talk. This morning Brent is a little lower at $118.40. Gold closed marginally lower at $1,642.09 on Friday, after trading in a very tight range as most commodities spread trading investors waited on the sidelines. After testing $1,680 unsuccessfully on April 12th, the precious metal started to retrace. If buyers continue to delay their comeback into the market, we could see a challenge on $1,620 soon, especially after gold failed to reach $1,650 in the last session. At the time of writing the precious metal is at $1,632. Although Brent crude oil managed to gain $0.75 on Friday, ending at $118.76, its weekly performance was negative. There are concerns over the short term trend for the bulls as ongoing worries regarding the European economy puts downward pressure on near-term oil demand. If the resistance just above $120 continues to hold, we could see a move towards the recent lows around $117. This morning Brent crude is a little lower at $118.20. Gold traded in an unsure manner as neither the bulls nor the bears could take control of the day. With a wide range of $23, the precious metal ultimately gained $1.4 to close at $1642.9 an ounce. At the time of writing, the gold financial spread trading market is at $1643, with major near term support and resistance seen $1610 and $1680 respectively. Brent crude oil futures pared early gains as disappointing US economic data fuelled ongoing worries of demand. Brent closed barely changed at $118.00, up $0.03 per barrel. With little sign of the bulls this week, those spread trading on crude oil will be keen to see if near term support holds at $117.46. This morning though it looks like the bulls just have the upper hand as Brent trades back above $118 at $118.30. The gold spread trading market trudged lower on Wednesday, hitting a low of $1637.8 an ounce, on reports that Syria is selling its gold reserves at discount prices. This comes as financial sanctions imposed by the Arab League and Western nations begin to take effect. A break of the Tuesday low at $1634 could see a sudden test of the near term support at $1611.8. Crude oil futures continued their slide amid concern that Spain's troubles will reignite the whole European debt crisis and curb demand for oil. Brent has fallen from the March high of $128.57 per barrel. Traders have turned bearish because of the prospects of further talks between six world powers and Iran. Furthermore, a pipeline reversal in the United States eased demand and so Brent crude is trading at $118.60 this morning. On the commodities markets, gold hovered around the $1,650 level on Tuesday, as a successful Spanish debt auction eased fears about the Eurozone debt crisis. After testing new lows for the week in the $1634 area, gold may struggle for gains without a fresh catalyst. This morning the yellow brick is bang on the $1650 mark. Brent crude oil prices managed to hold above the $118 a barrel mark on Tuesday as a successful Spanish debt sale eased fears that Europe's debt crisis could flare again. The price of black gold was also helped by expectations that the Seaway pipeline reversal will aid a supply backlog. With today's oil inventories expected to show a sharp drop in the stock pile, prices could be well supported on the way to test the $120 level again. The yellow metal saw modest gains in comparisons to the declines across the commodities complex yesterday. Gold initially sold off at the start of the session, touching a low of $1641.1 but losses in the precious metal were pared by a weaker dollar. Gold was then able to rebound, closing at $1,651.90 an ounce with it just below there this morning. Brent crude lost $2.53 to close at $118.68 on news that a major pipeline will come online ahead of schedule that will ease supply disruptions. Oil was already trading weak as concerns surrounding Europe were stoked by the rise in Spanish yields and the apparent easing of diplomatic tension between Iran and the US. This morning Brent is a little softer again at $118.25. On the commodities spread trading markets, gold prices fell sharply on Friday, with spot gold losing $19 to close at $1,652.29 an ounce on Friday. This came as the dollar strengthened due to safe haven in-flows and as traders exited riskier euro holdings due to worries over Spain's gloomy economic health. Whether or not gold returns as the choice for safe haven flows will be answered as it approaches the support level of $1620. Any break below this level could see the yellow metal retrace significantly. Crude oil dropped $0.80 on Friday as several negative cues translated into a strengthening dollar. Weak Chinese economic data and fears over the fragility of the Eurozone weighed on crude but also comments from Saudi Arabian Oil Minister Al-Naimi. His statement that there is no shortage in global oil supply and his country was determined to see lower prices, added to the selling pressure. This morning Brent is softer again at $119.70.